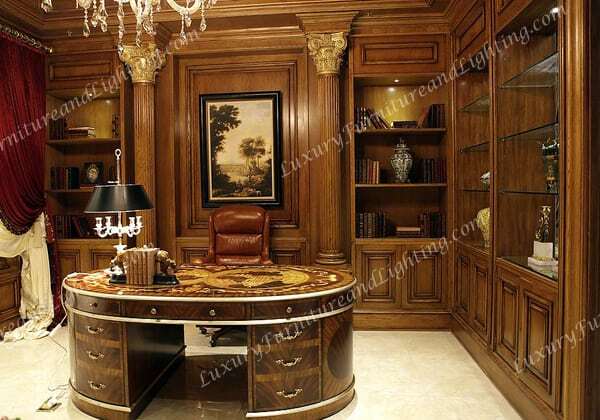 It is important to invest in fine office furniture when you meet with clients at your place of business. 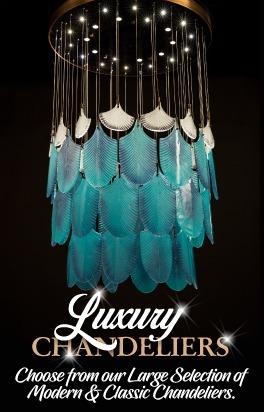 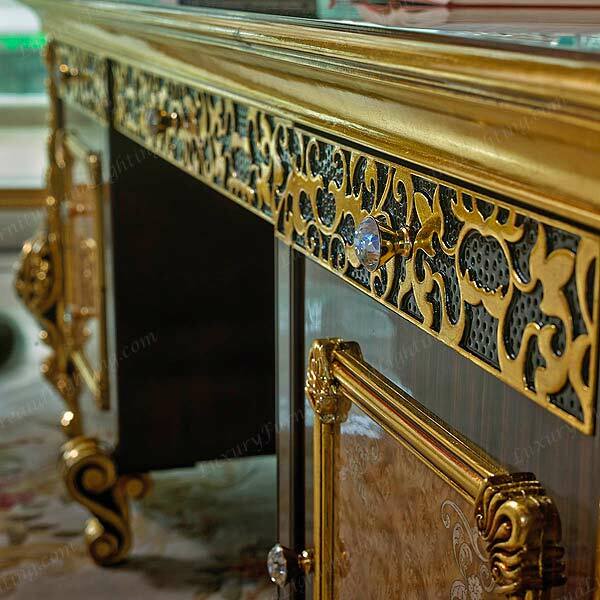 Luxury furniture makes a strong first impression on clients and communicates that you value the finest things in life and expect quality work. 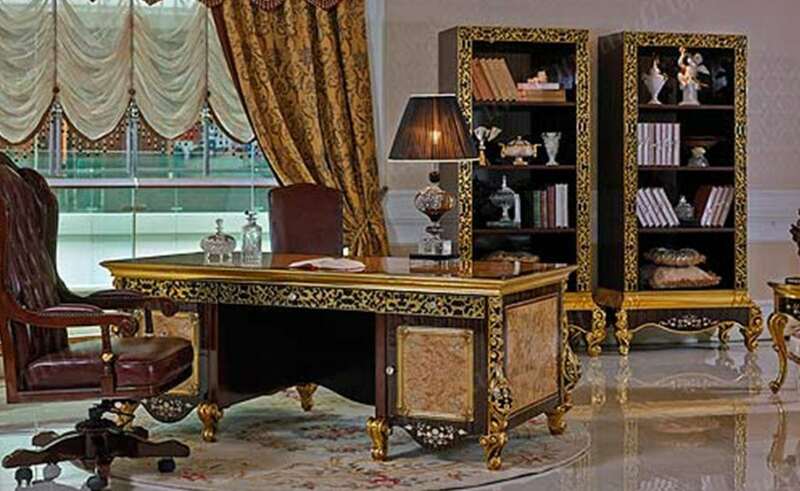 Beautiful and classic office furniture can elevate your mood and set the tone for your place of business. 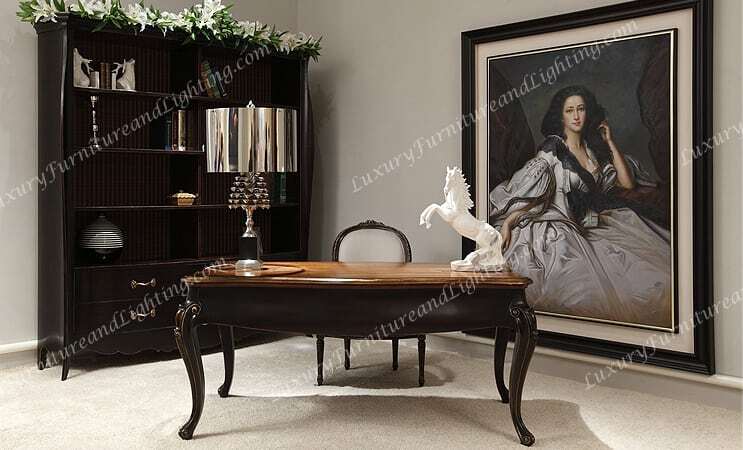 High-end Italian style furniture adds elegance to standard office pieces without affecting functionality. 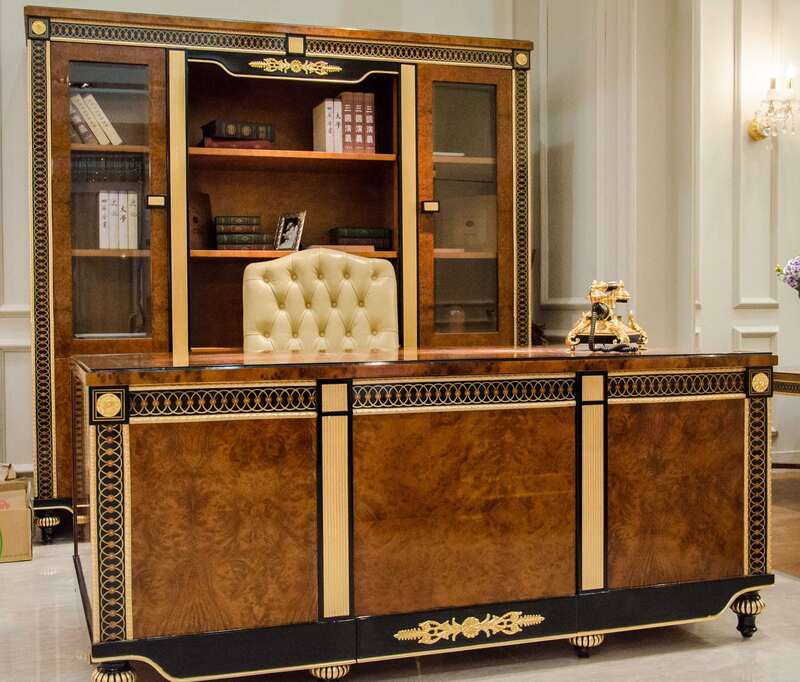 Our desks, bookcases, and office chairs are built to last, using classic styles and rich colors that suggest wealth. 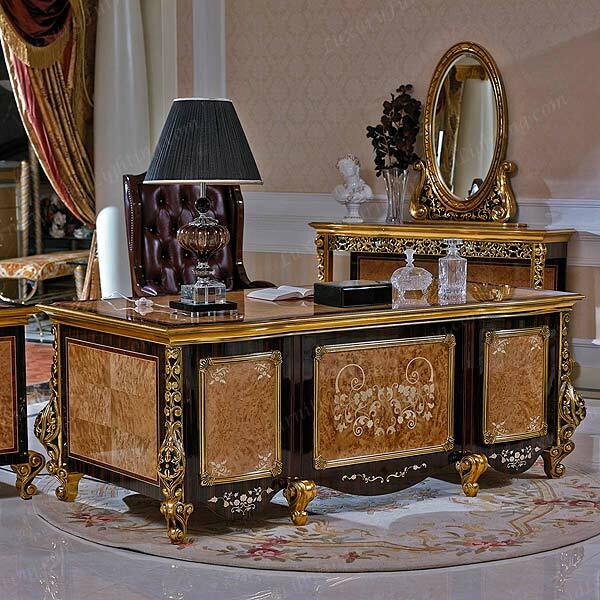 Our Royal Office Luxury Series is handmade by Italian craftsmen who take pride in the traditions and cultural heritage of fine design. 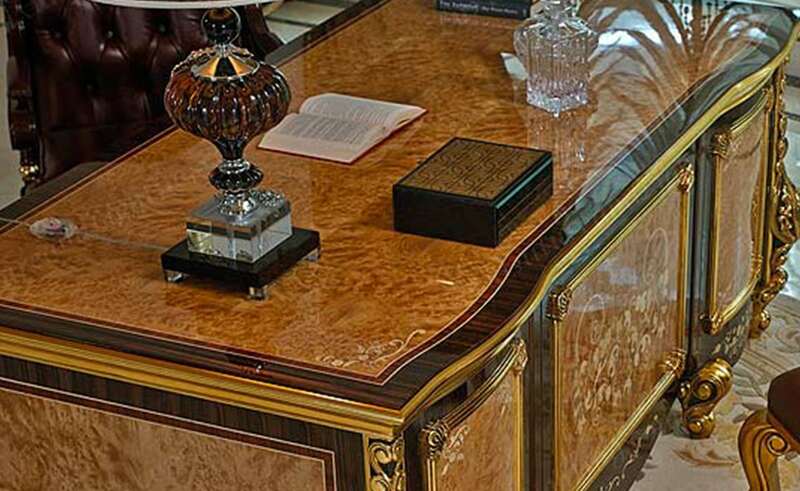 Their attention to detail is evident in the look and feel of the materials. 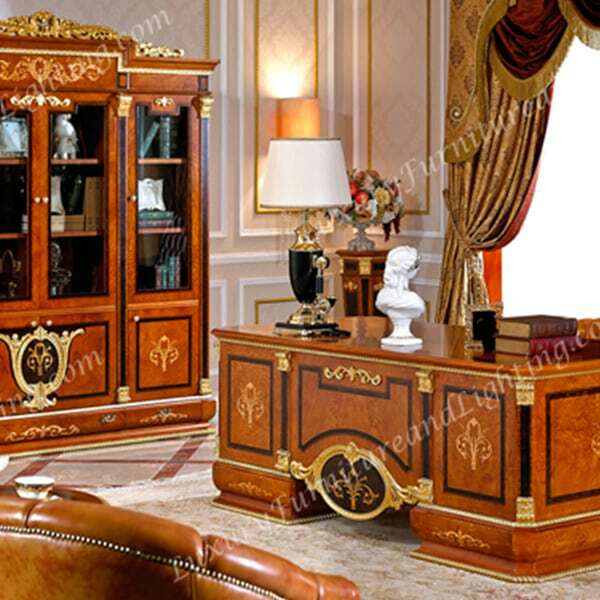 Wooden pieces are crafted from beech, a durable hardwood. 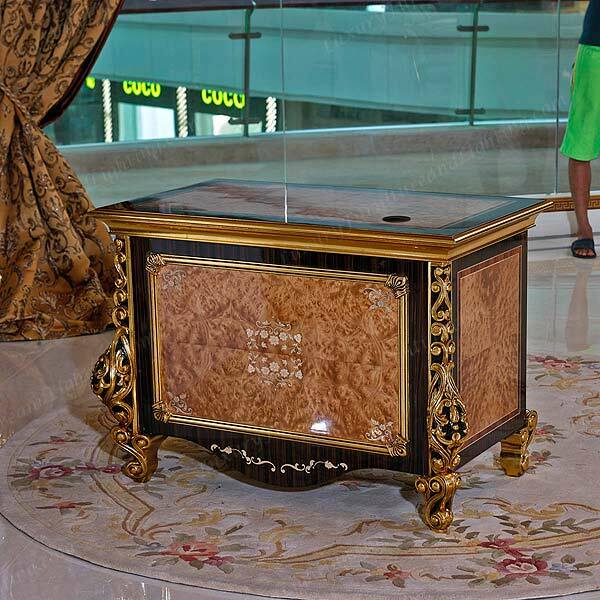 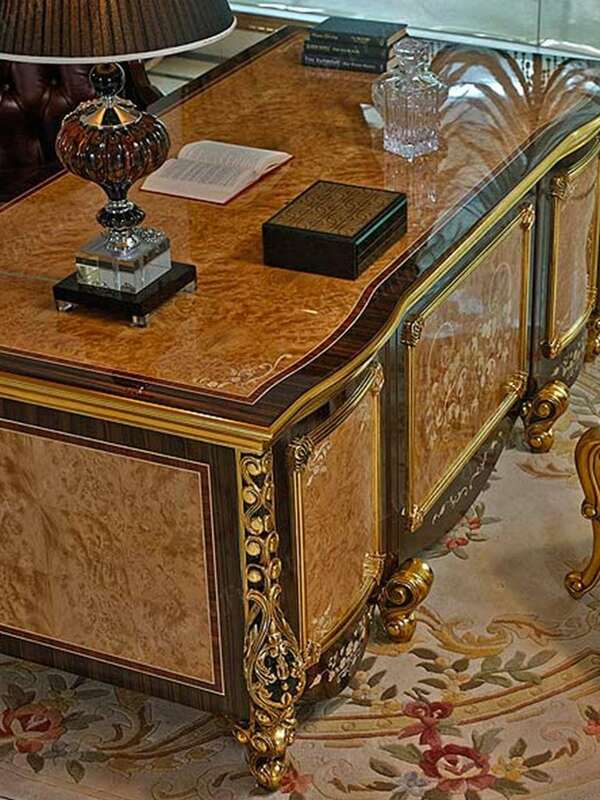 The inlay work is wood, with gold leaf detail that will pop in the light of your office building. 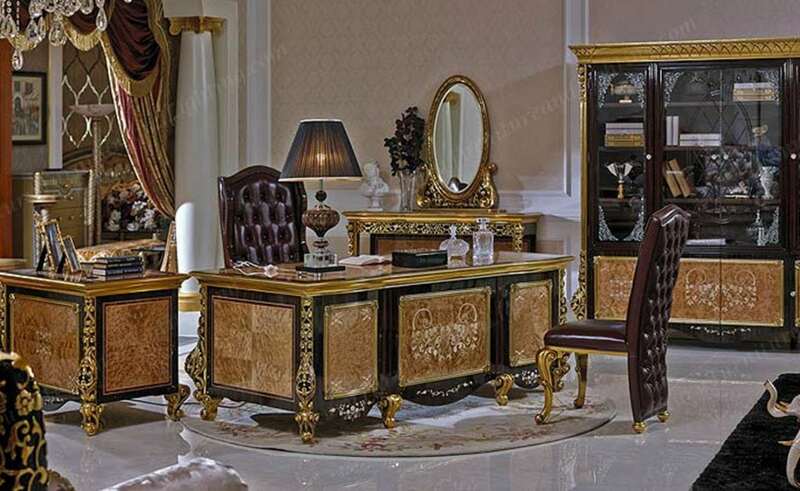 The Royal Office collection brings together the best in classic and avant garde Italian style furniture. 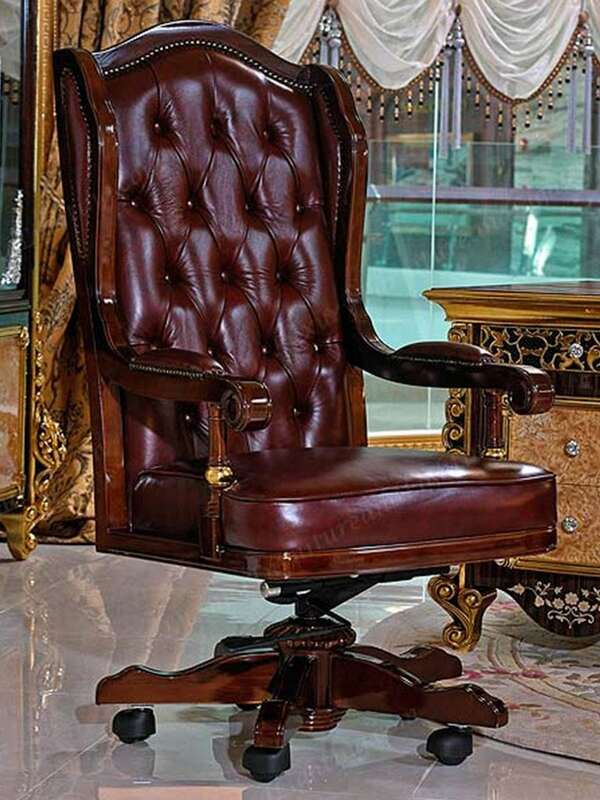 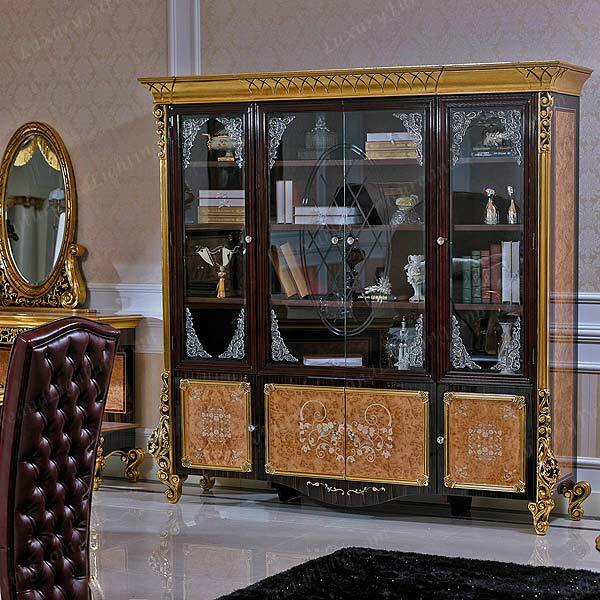 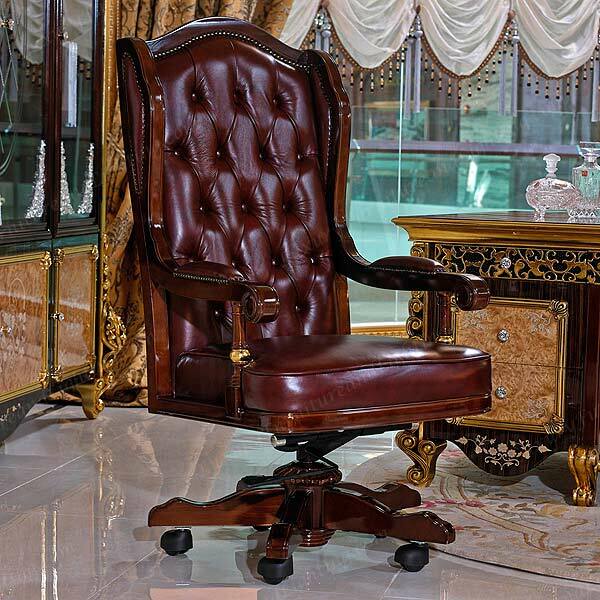 Choose from our Royal Writing Desk, Royal Computer Desk, Royal Executive Swivel Armchair, Royal Guest Chair, and Royal 4-Drawer Bookcase. 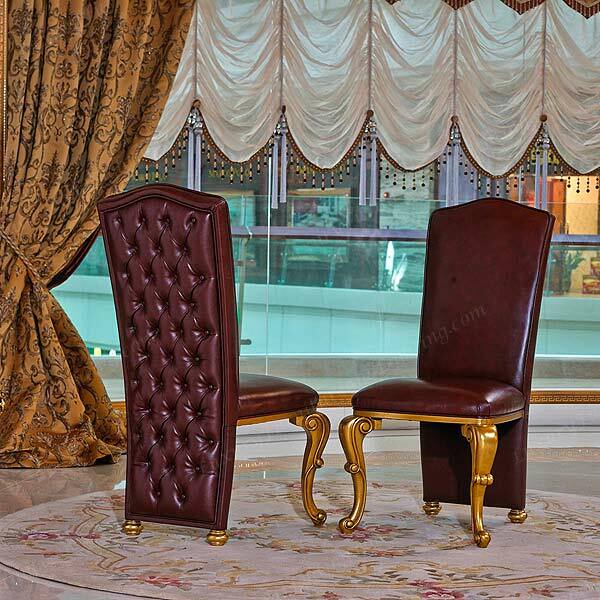 The luxury furniture in our Royal collection combines rich tones of oxblood, burgundy, mahogany, beech, and gold in classic styles. 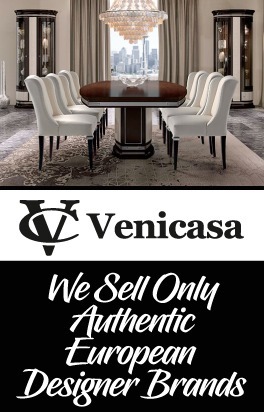 All of our furniture is hand crafted with the same techniques of traditional Italian furniture, so you know the pieces will hold their value over time. 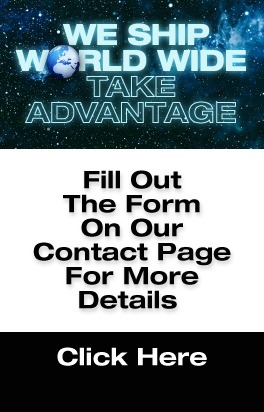 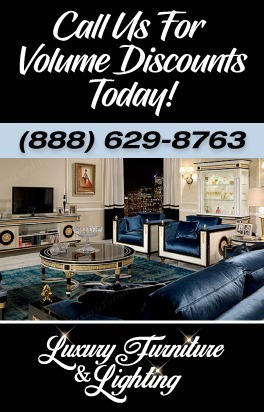 We always provide a certificate of authenticity with luxury furniture purchases.